This week’s Krafty Kids interview proves once again that Flint is full of talent. Eva Bush, 24, of Green Leaf & Owl makes adorable jewelry. I spotted her on Soulemama‘s blog and have been hooked on her designs ever since. 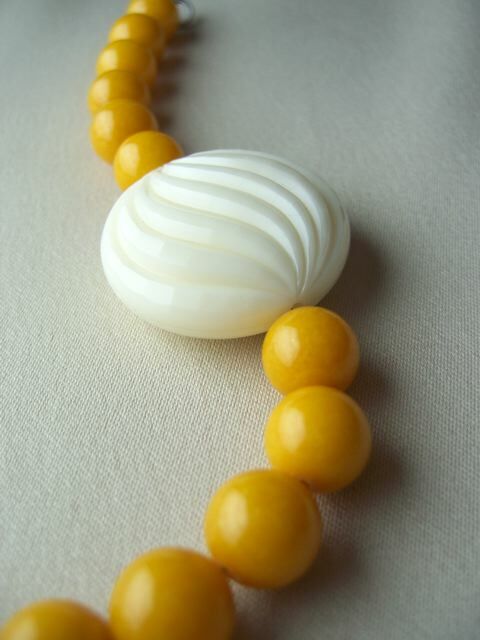 Her use of polymer clay reflects crisp Michigan seasons and sweet, simple vintage. 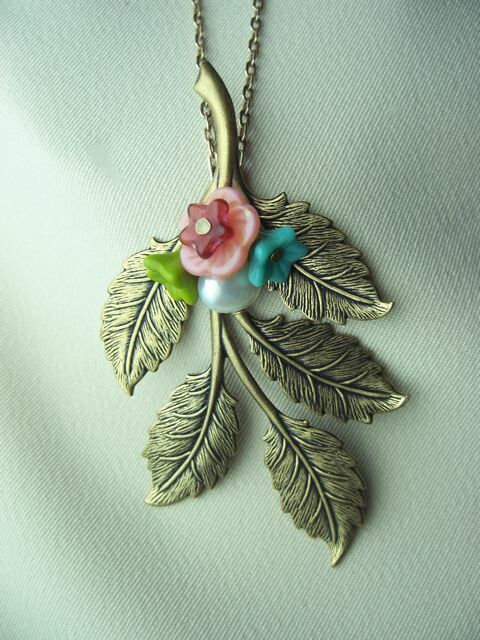 She’s also a sterling business women, turning Green Leaf & Owl into a must-see on Etsy. She was kind enough to tell us a little more about her business and dish some tips for the other crafty sellers out there. Please welcome Eva! Handmade Detroit: Tell us a little about your company, how long it’s been around, what you sell, etc. Eva Bush: I began Green Leaf & Owl in December of 2006. I opened an online shop at Etsy.com born of spontaneity and creativity. 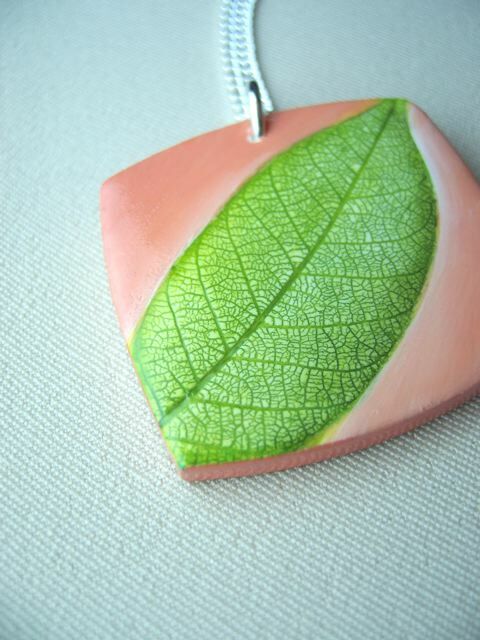 My shop consists of nature inspired, handcrafted jewelry and a variety of gift tags. HD: What do you make/what’s your craft of choice? 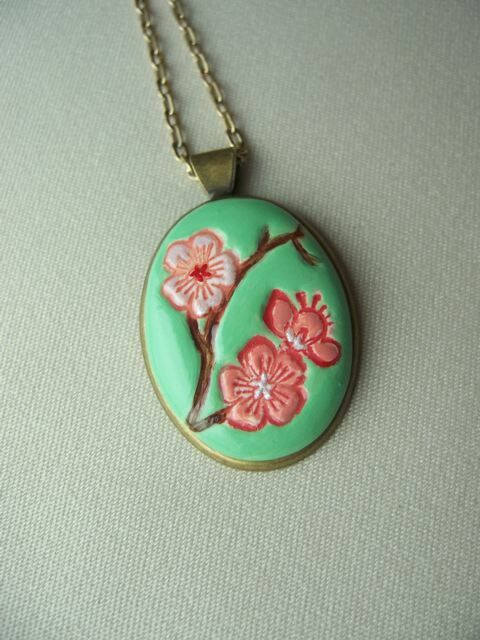 EB: Presently my focus is polymer clay pendants and necklaces hand-painted with acrylics. In addition to polymer clay I enjoy combining modern and vintage glass beads with brass stampings and charms that I oxidize to create natural and organic jewelry. Brass is my favorite metal to work with due to the absence of nickel and its ability to be oxidized to dark, rich earth tones. HD: What materials do you use? EB: Polymer clay, paint, sterling silver, brass, glass and semi-precious gemstone beads. HD: Why did you become interested in making? EB: Creating is second nature to me. I loved art classes in high-school and studied graphic design in college. One day I was searching the Internet for handcrafted jewelry and came across Etsy.com and a whole new world was opened to me. 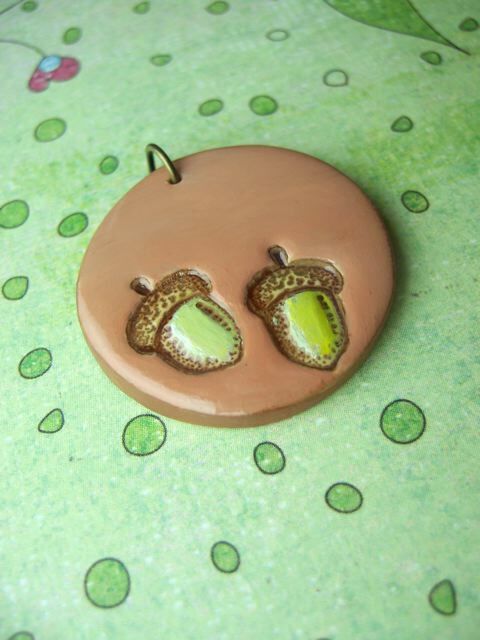 After experimenting with different materials I discovered the versatility of polymer clay. I loved the fact I could paint and create a mini piece of artwork for someone to wear around their neck. EB: Nature … the soft lines of leaves, silhouettes of trees and the sky. Vibrant and contrasting colors, as well as mellow neutral ones. Long drives in my car sometimes lead to new design ideas. I also love retro and mod design. HD: Why did you decide to start your business? EB: I studied graphic design in college, but realized I didn’t want to stare at a computer screen all day. I could easily design websites from home, but I’d much rather work with my hands. After the birth of my son two years ago, I was fortunate enough to stay home with him, however I needed something creative to keep my mind and hands busy during nap time and at night. I’ve transitioned from working full-time and going to school part-time to being a mom full-time and having a home business part-time. HD: What tips would you give to someone just starting their craft business? EB: Make yourself known to the public in more then one way; start a blog, carry business cards and encourage word of mouth advertisement. If you’re selling online it can be tough because customers can’t handle the goods. High quality photographs and descriptions are a must. Even if you don’t sell much at first, continue to create new designs. HD: Do you advertise? If so, what have you found to be successful? EB: My advertising is mostly web-based. I’ve joined social networks on Ning, I have a Myspace page, a blog and a Flickr. I also have friends and family that wear my jewelry and advertise for me in that way. HD: What craft sites do you frequent? HD: What are you working on now? EB: I’m working on a new line of sterling silver earrings and necklaces with fun, tiny designs of birds, lightning bolts, rain clouds and lotuses. The newest additions in my Etsy shop are paper and brass pendants made with a variety of vintage bird illustrations. There are so many different materials and techniques to explore that I’ll always be working on something new. All photos copyright Eva Bush. I just love the colors here!